How to tint a transparent PNG image in iPhone? I know it's possible to tint a rectangular image by drawing a CGContextFillRect over it and setting the blend mode. However, I can't figure out how to do a tint on a transparent image such as an icon. It must be possible since the SDK does it itself on tab-bars in such. Would anyone be able to provide a snippet? Lots of great suggestions have been given for this problem since I originally asked. Be sure to read through all the answers to figure out what suits you best. With iOS 7.0, I can now just do the following, which would satisfy the needs of my original question. But if you have more complicated cases, check out all the answers. Update: Here is a Gist for a Swift UIColor extension using the code below. If you have a greyscale image and want white become the tinting color, kCGBlendModeMultiply is the way to go. With this method, you cannot have highlights lighter than your tinting color. On the contrary, if you have either a non-greyscale image, OR you have highlights and shadows that should be preserved, the blend mode kCGBlendModeColor is the way to go. White will stay white and black will stay black as the lightness of the image is preserved. This mode is just made for tinting - it is the same as Photoshop's Color layer blend mode (disclaimer: slightly differing results may happen). Note that tinting alpha-pixels does not work correctly neither in iOS nor in Photoshop - half-transparent black pixels would not stay black. I updated the answer below to work around that issue, it took quite a long time to find out. You can also use one of the blend modes kCGBlendModeSourceIn/DestinationIn instead of CGContextClipToMask. I had most success with this method, because the others I tried caused distorted colors for semi-transparent pixels for certain color-combinations. This should also be a bit better on the performance side. // tint image (loosing alpha). 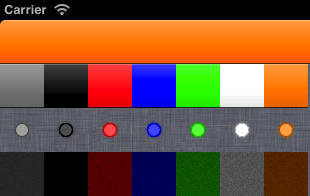 The first line is the apple toolbar tinted [UIColor orangeColor]. The second line is the same gradient tinted in several colors starting with clear color (= the actual gradient) and ending with the same orange. The last parameter which is set to 0.0 is scale, and according to Apple documentation: "If you specify a value of 0.0, the scale factor is set to the scale factor of the device’s main screen". Dont have the permission to comment, and editing seems a bit rude, so I mention this in an answer. Just in case someone encounters this same problem. UIImageView (or any view for that matter) has a background color which is RGBA. The alpha in the color may do what you need without inventing something new. 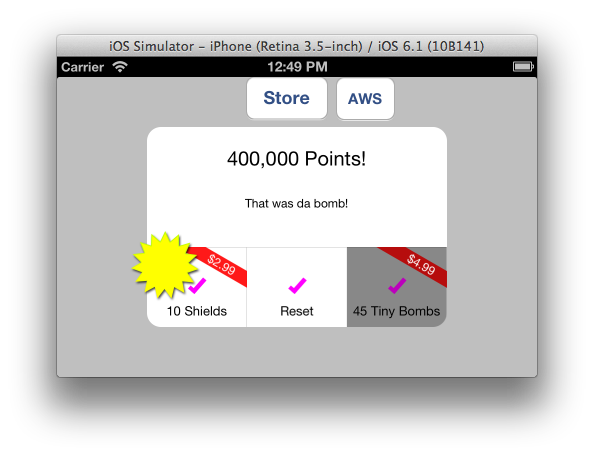 I wanted to shade my image views in my custom UIButton subclass and the other solutions didn't do what I wanted. I needed to darken "tint" the image color. Here's how to change the brightness using CoreImage. CIFilter *filter = [CIFilter filterWithName:@"CIColorControls"
You'll want to store a copy of the context as an ivar, rather than recreate it. First I want to thank fabb for his exceptional solution which has helped me to accomplish my task to tint half transparent Icons. Because I needed a solution for C# (Monotouch) I had to translate his code. Here is what I came up with. Just copy paste this into your code and add your half transparent Image and your done. Not the answer you're looking for? Browse other questions tagged iphone ios image uiimage tint or ask your own question. How to tint the background images of an UIButton programmatically and dynamically? How to implement highlighting on UIImage like UIButton does when tapped?